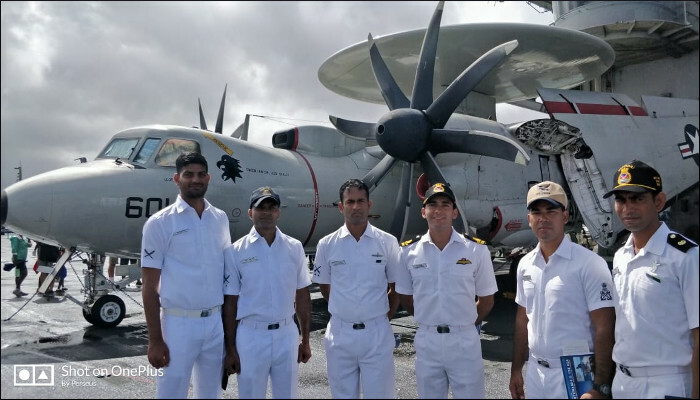 Indian Naval Ship Sahyadri is presently at Pearl Harbour, Hawaii to participate in the 26th edition of Exercise Rim of Pacific (RIMPAC). 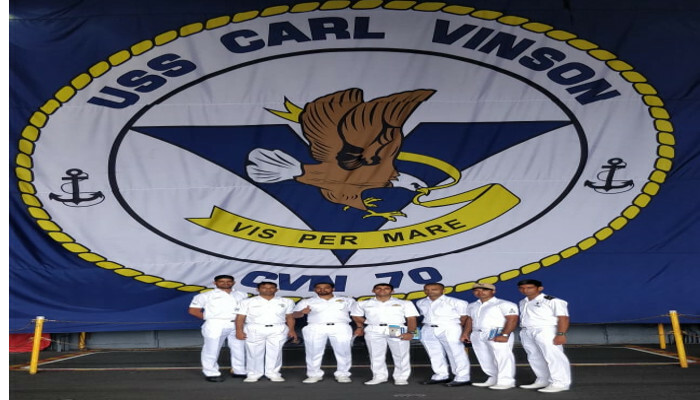 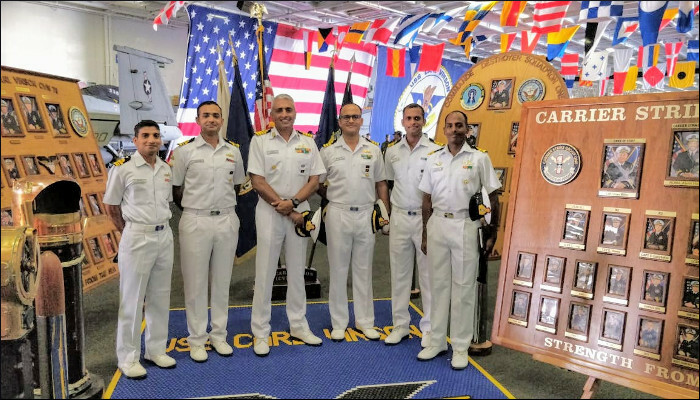 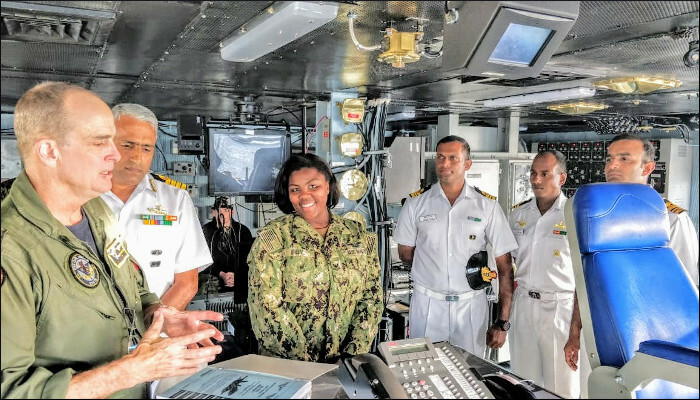 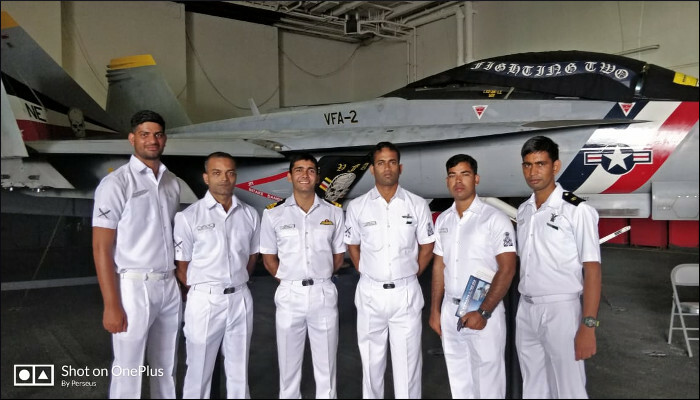 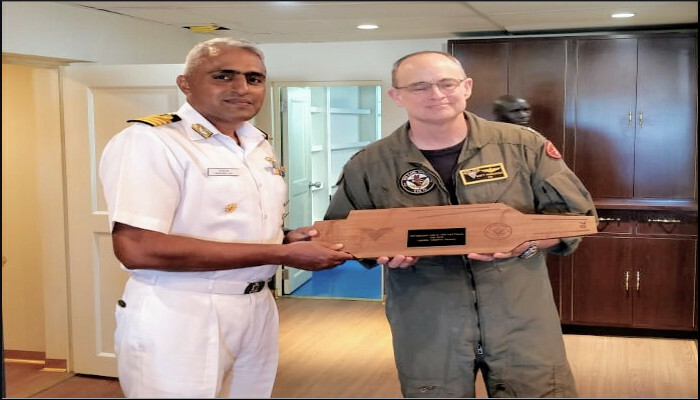 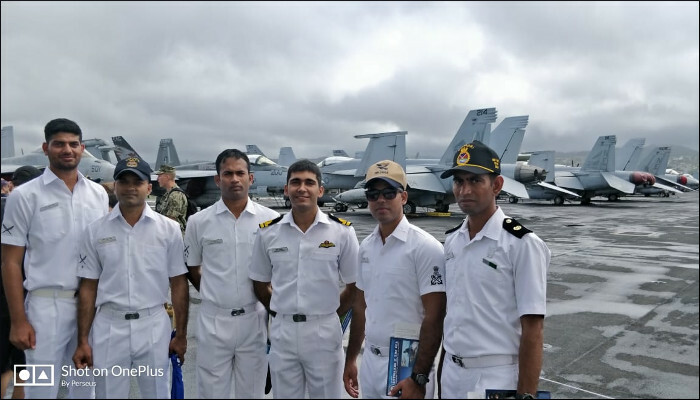 As part of the harbour phase Indian Navy personnel visited USS Carl Vinson and were conducted around the ship by the Commanding Officer USS Carl Vinson. 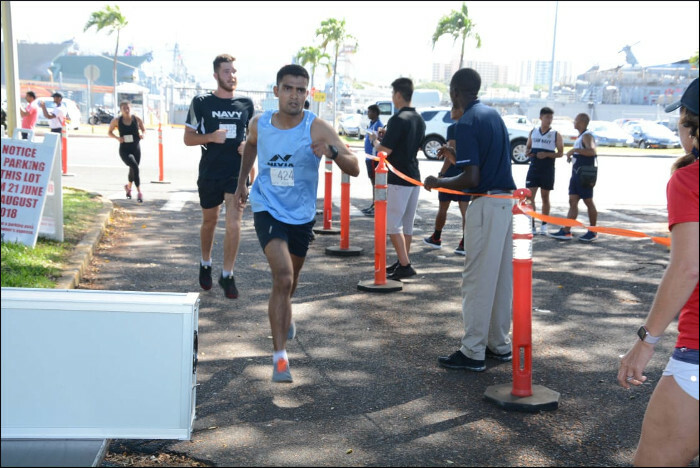 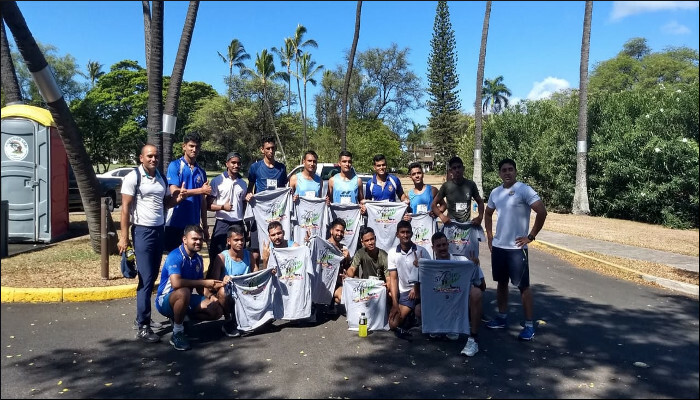 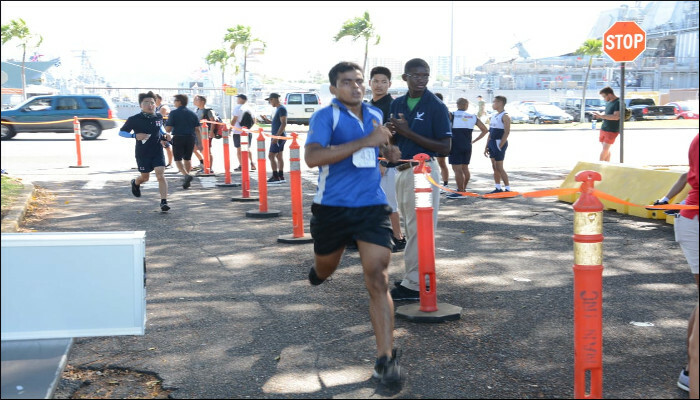 INS Sahyadri cross country team participated in the 5 kms run and five personnel finished within first 11 in the competition, thereby giving the ship maximum points. 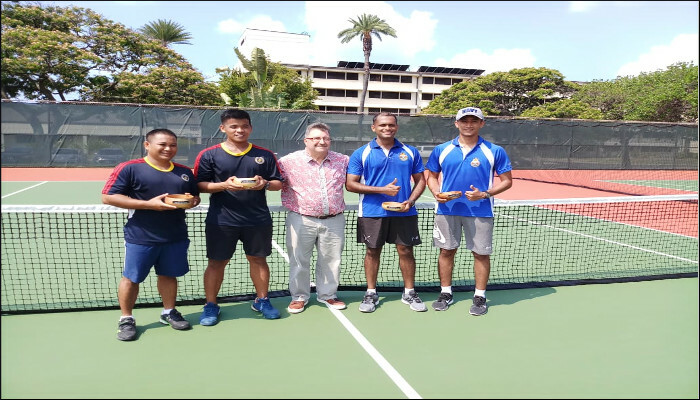 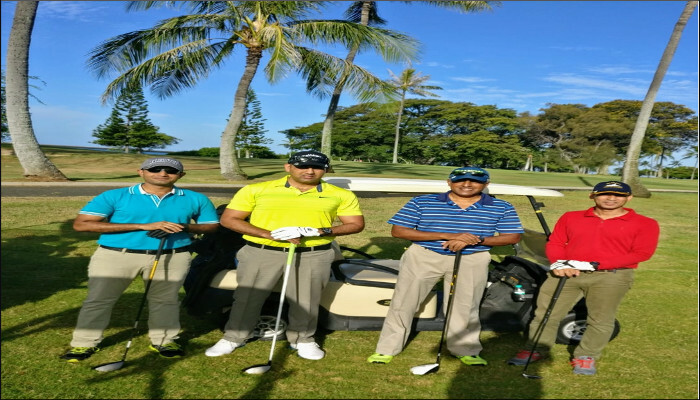 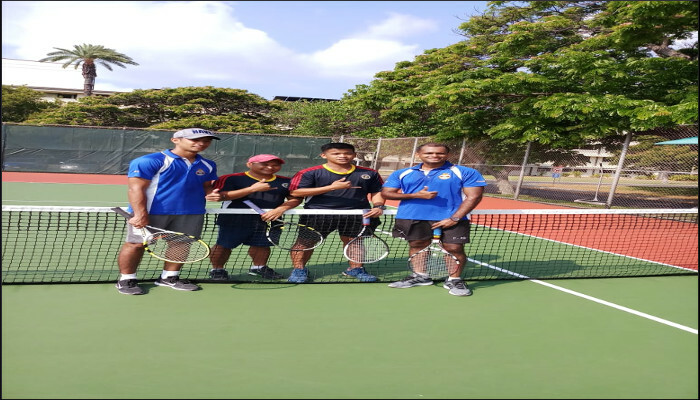 The ship’s Lawn Tennis Doubles Team stood second amongst 32 teams that participated in the Tennis competition and the ships golf team stood first amongst 29 teams that participated in the Golf tournament.